LONDON — Stephen Hawking was a cosmic visionary, a figure of inspiration and a global celebrity. 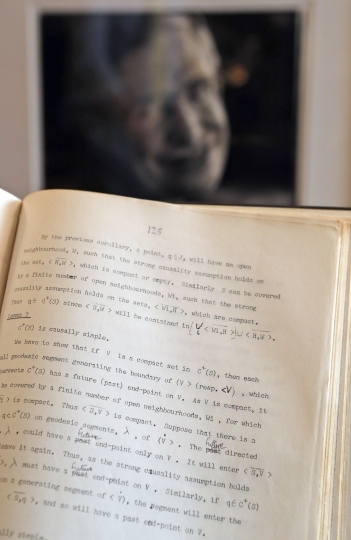 His unique status is reflected in an upcoming auction of some of the late physicist's possessions: It includes complex scientific papers, one of the world's most iconic wheelchairs and a script from "The Simpsons." 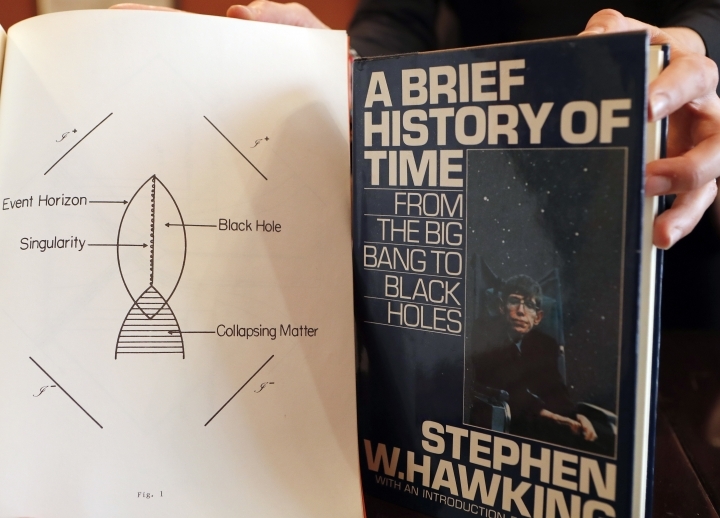 The online sale announced Monday by auctioneer Christie's features 22 items from Hawking, including his doctoral thesis on the origins of the universe, some of his many awards, and scientific papers such as "Spectrum of Wormholes" and "Fundamental Breakdown of Physics in Gravitational Collapse." Thomas Venning, head of books and manuscripts at Christie's, said the papers "trace the development of his thought — this brilliant, electrifying intelligence." "You can see each advance as he produced it and introduced it to the scientific community," Venning said. 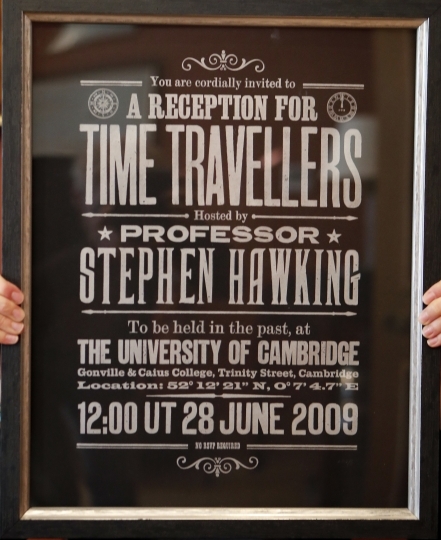 Of course, Hawking's fame rests only partly on his scientific status as the cosmologist who put black holes on the map. Diagnosed with motor neuron disease at 22 and given just a few years to live, he survived for decades, dying in March at 76. 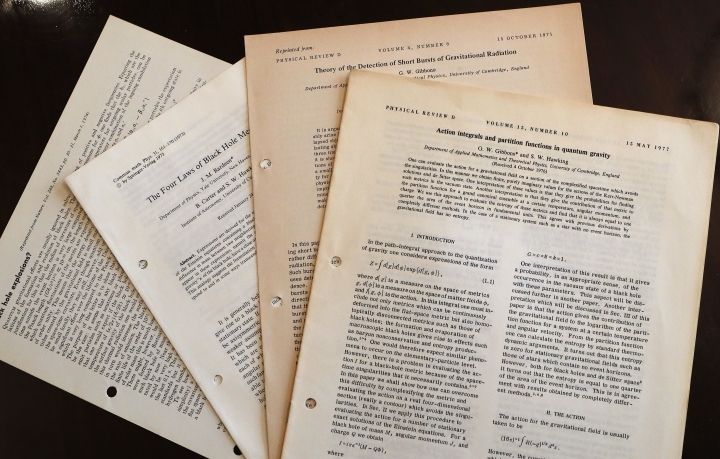 The auction includes one of five existing copies of Hawking's 1965 Cambridge University Ph.D. thesis, "Properties of Expanding Universes," which carries an estimated price of 100,000 pounds to 150,000 pounds ($130,000 to $195,000). 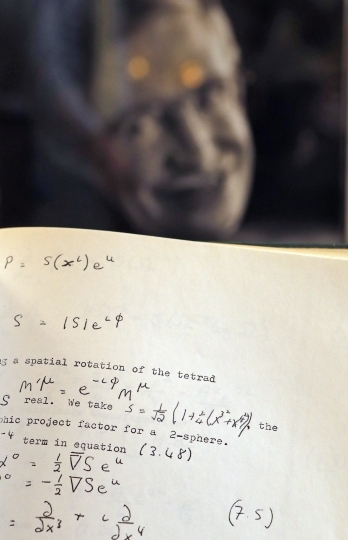 Venning said the thesis, signed by Hawking in handwriting made shaky by his illness, is both a key document in the physicist's scientific evolution and a glimpse into his personal story. "He was diagnosed with ALS (amyotrophic lateral sclerosis) just as he arrived in Cambridge to begin his Ph.D. studies," Venning said. "He gave up his studies for a time because he was so despondent. The thesis "was the fruit of him reapplying himself to his scientific work," Venning said, and Hawking "kept it beside him for the rest of his life." The disease eventually left Hawking almost completely paralyzed. He communicated through a voice-generating computer and moved in a series of high-tech wheelchairs. One is included in the sale, with an estimated price of 10,000 pounds to 15,000 pounds ($13,000 to $19,500). Proceeds from its sale will go to two charities, the Stephen Hawking Foundation and the Motor Neurone Disease Association. Venning said the wheelchair became a symbol not just of disability but of Hawking's "puckish sense of humor." He once ran over Prince Charles' toes — and reportedly joked that he wished he had done the same to Prime Minister Margaret Thatcher — and appeared in a "Monty Python" skit running down fellow physicist Brian Cox. Venning said Hawking "very much thought of himself as a scientist first and a popular communicator second," but accepted and even enjoyed his celebrity status. He appeared several times on animated comedy show "The Simpsons" and kept a figurine of himself from the show in his office. 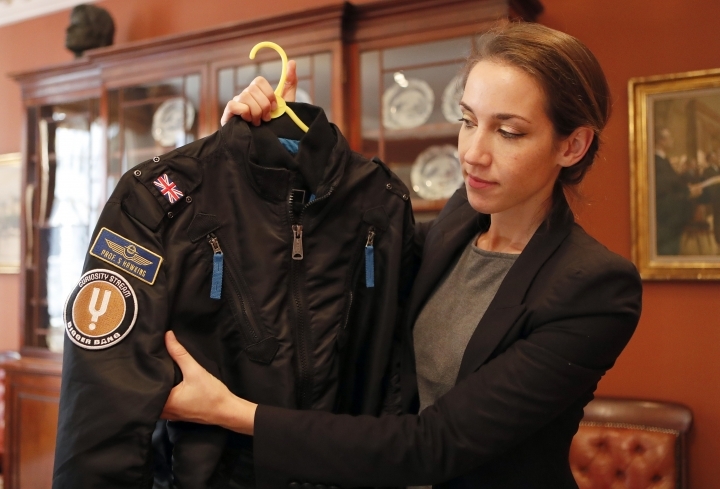 The sale includes a script from one of Hawking's "Simpson's" appearances, a copy of his best-seller "A Brief History of Time" signed with a thumbprint and a personalized bomber jacket that he wore in a documentary. 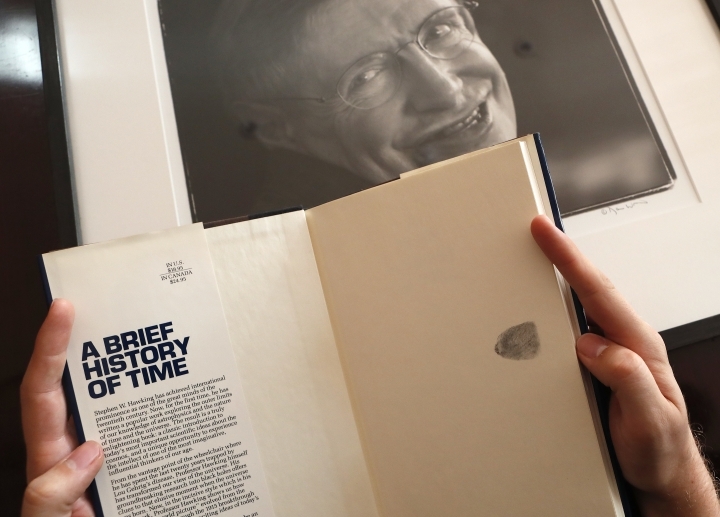 Hawking's children hope to preserve his scientific archive for the nation. Christie's is handling negotiations to hand it over to British authorities in lieu of inheritance tax. The items — part of a science sale that includes papers by Isaac Newton, Charles Darwin and Albert Einstein — will be on display in London for several days from Oct. 30. The auction is open for bids between Oct. 31 and Nov. 8. Copyright © 2015 - 2019 Entertainment - Frontal Report. All Rights Reserved.